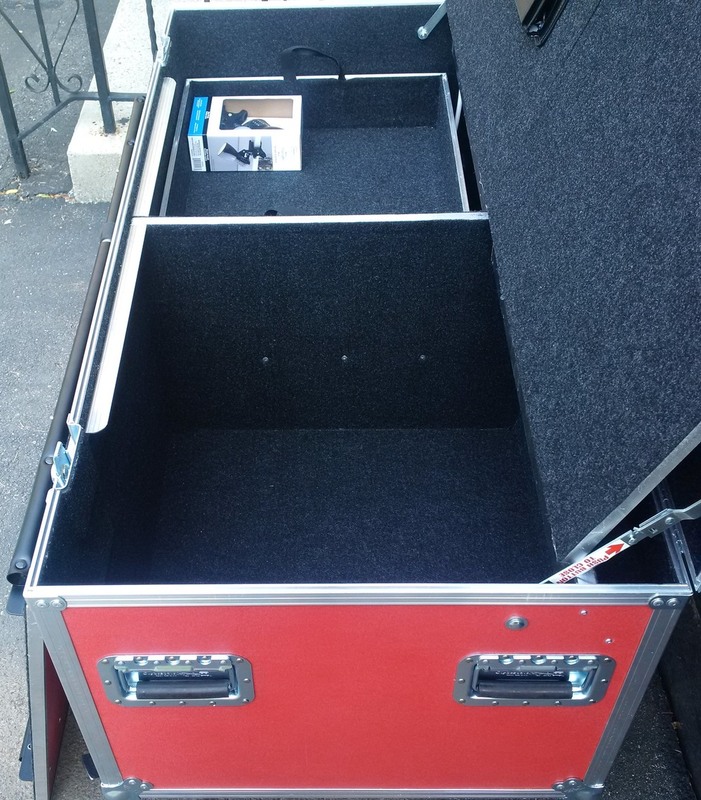 Professionally designed portable work station for all your equipment needs! 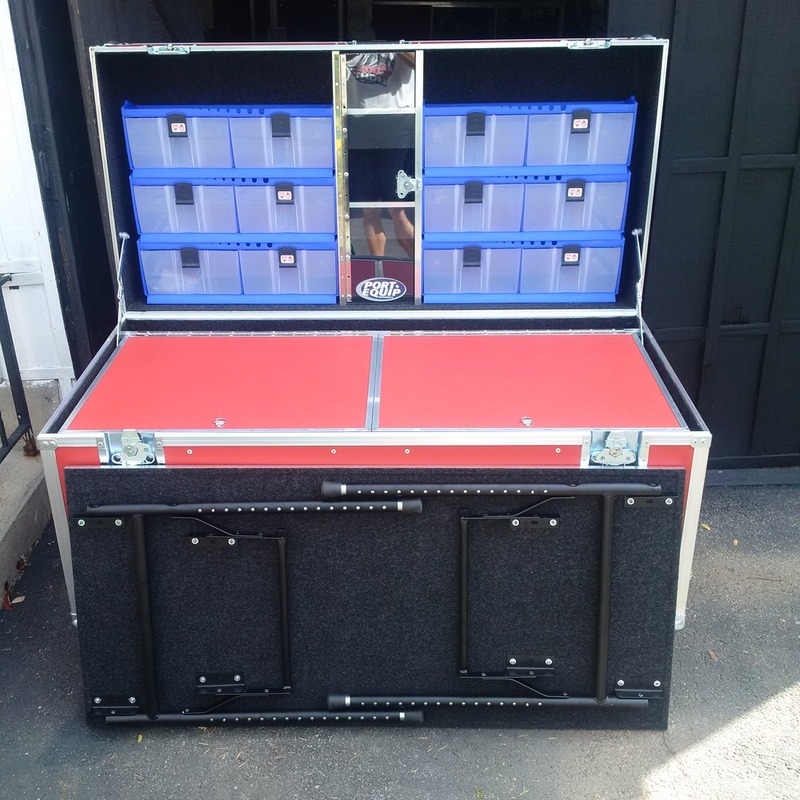 Complete with built-in & pull-out work surfaces, lid storage bins with shelf, large bulk storage capacity below the surface, power bar with electrical, attachable light. 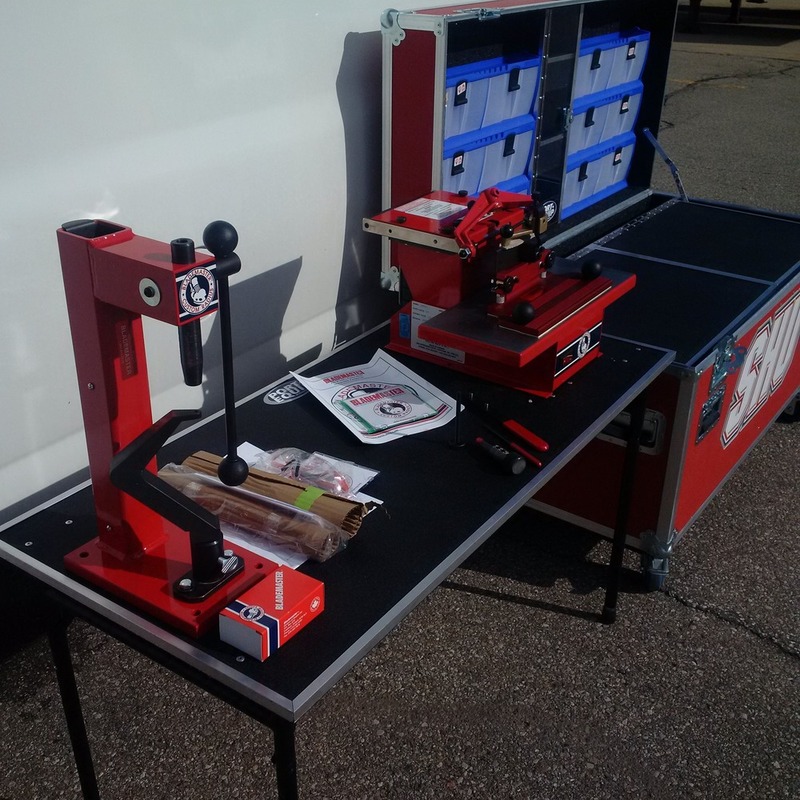 Optional sharpener, riveter, vise easily anchor to surface! 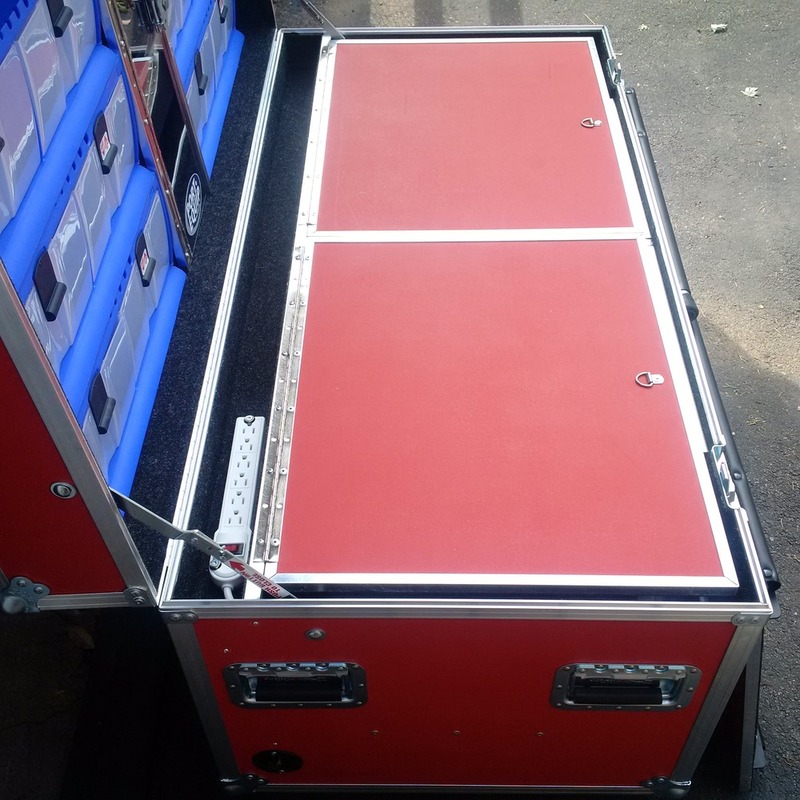 Collapsible, Mobile & Heavy Duty. Built-in ½” durable Work Surface. Work Table - 350 lb. weight capacity. 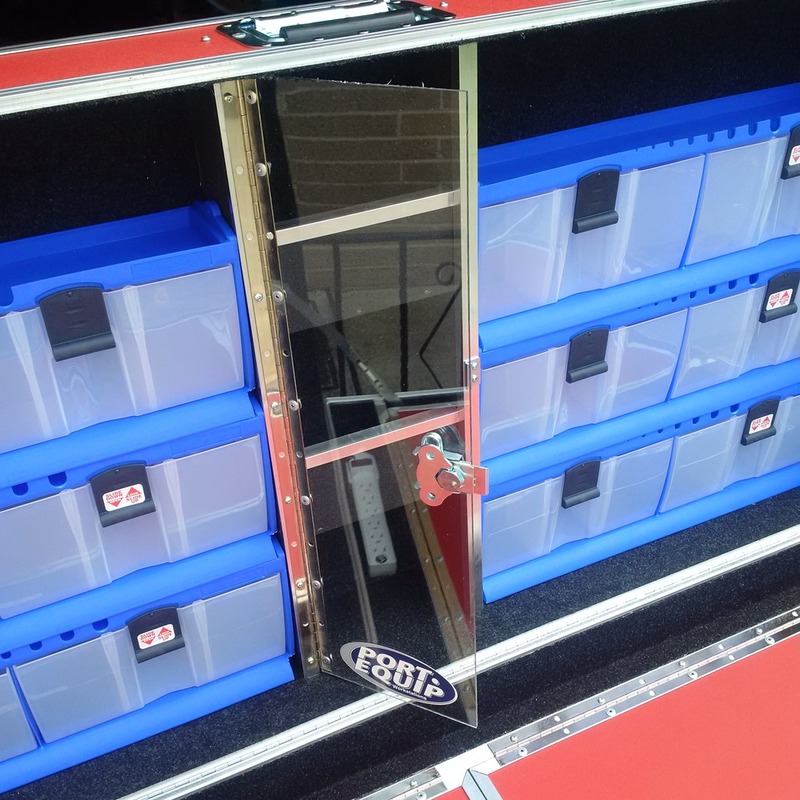 30 Tilt, lock & pull-out lid Storage Bins. Large pull-out Storage Tray beneath surface. Large bulk Equipment storage capacity. Recessed work surface power bar. Tool Pallet & File Folder. 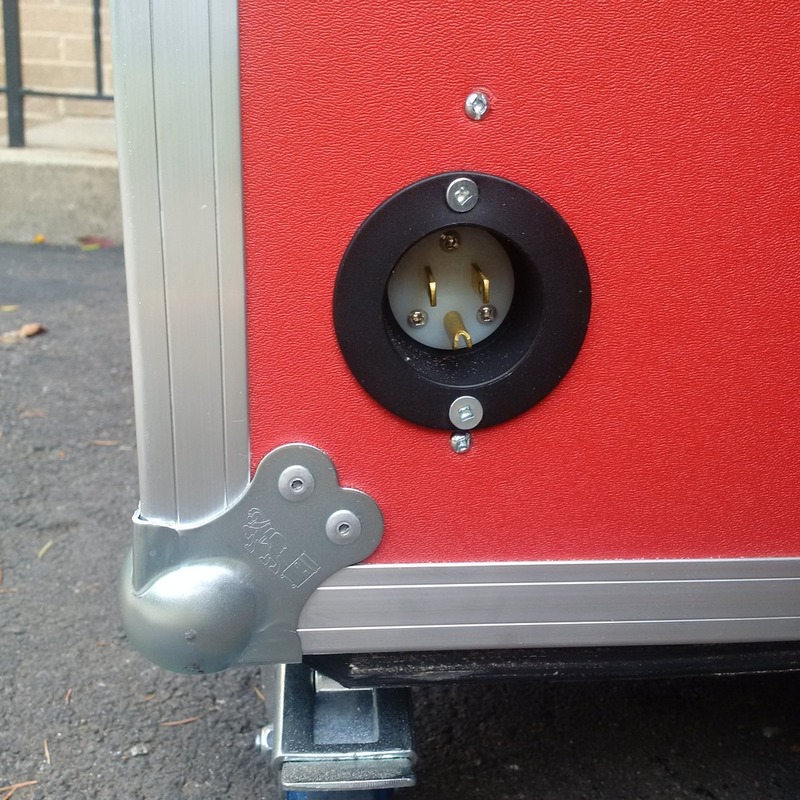 Dual recessed key Lockable Latches. 3/8” T-Nuts/T-Screws lock Skate Riveter/Vise to work surface/table. 8 Protective metal Corner Caps. 50", 60" L x 32" H x 25"
NEW for 2018 - Gas Strut Lid Stays!